OFI Australia is so happy and appreciative to have the support of EVOHE Skincare. Evoke Skincare is palm oil free and 100% orangutan friendly! 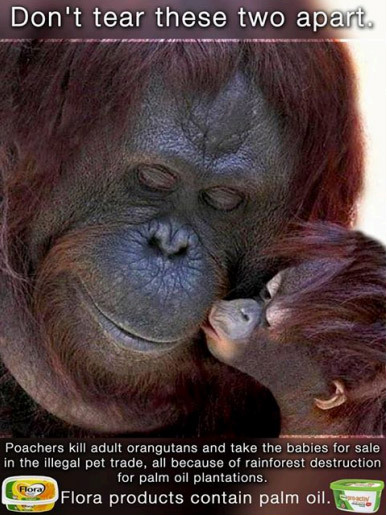 You can help orangutans and OFI Australia by purchasing Evohe’s fantastic luxury skincare palm oil free products. At a recent fundraiser for OFI, Meg Forrester CEO & Founder of EVOHE skincare was blown away & inspired by the amount of people she met who actually knew what was going on in Indonesia. Conscious Consumers who with the power of how they spend their money make a real difference. Is your skincare really Orangutan Friendly? EVOHE joins a new generation of independent businesses that are serious about an evolution in ethical and sustainable business practices and the production of quality, natural products. Our goal is conscious consumption from manufacturer to consumer and beyond. EVOHE products have the Vegan tick. Not only for the fact that we do not use animal derived ingredients or ingredients which have been tested on animals, but for the element of compassion which is associated with the Vegan philosophy. This is a vibration that we are conscious of when it comes to palm oil and glycerine. We believe that with the number of alternatives and fantastic botanicals available, there is no need to support these industries, which are causing havoc on our environment and the animals that dwell in it. In addition to the Vegan tick, EVOHE is also on the Cruelty Free Checklist. Meg first became aware of the devastation in Indonesia 7 Years ago when she was first formulating the EVOHE range. What many people are unaware of is that Glycerine is a by-product of the biofuel industry which is Palm Oil based. Glycerine is a very large component in skincare formulations. This became Meg’s first target. The formulating chemist who Meg worked with was shocked and horrified at the thought of NOT using Glycerine, seeing though it makes formulating so easy and cheap. But when Meg told her about the orangutans and their babies she joined Meg in the challenge of creating a range WITHOUT Glycerine. This includes the ‘so called’ sustainable versions of palm oil. Meg’s philosophy (until proven otherwise) is that if the “sustainable” Palm or Glycerine is coming out of Indonesia then it’s still supporting a destructive industry and threatening native wildlife. Glycerine is derived from palm oil and is commonly used in skincare and cosmetic formulations as a cheap ‘filler’. It is also said to be a humectant and draws water to the skin. Glycerine is by no means critical to the formulation of skincare products and in our opinion, it has little benefit for the skin. There are other alternatives that are much less harmful to the ecology of our planet; however glycerine is routinely used simply because it is an inexpensive and abundant by-product. The latest buzz words in the industry are Green Palm and Roundtable for Sustainable Palm oil.